Hi everyone, how are you. It’s Andrea from The Cottage Market back with yet another Quick and Easy DIY Projects for you! 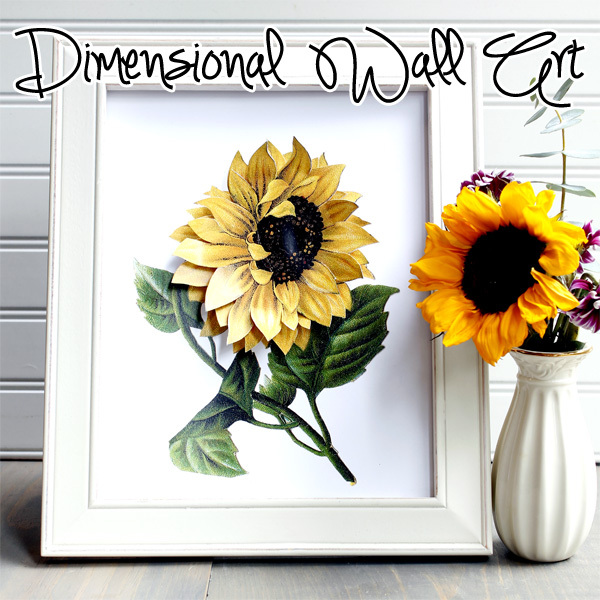 Today we are going to create a piece of Dimensional Wall Art. 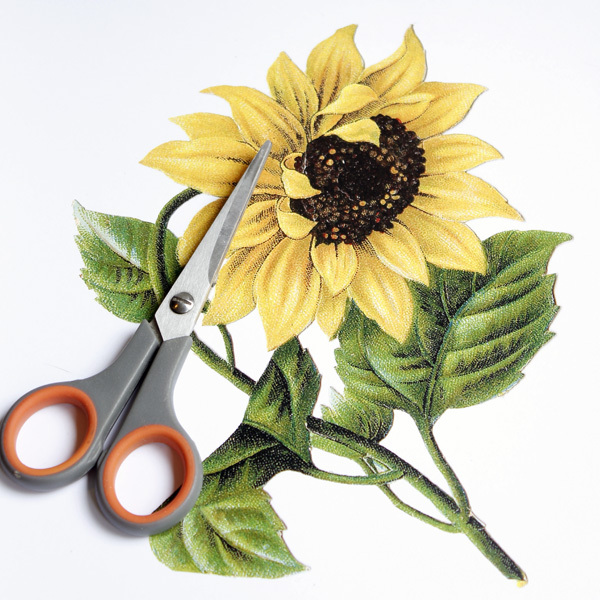 I chose The Graphics Fairies classic Sunflower Illustration and it worked perfectly! 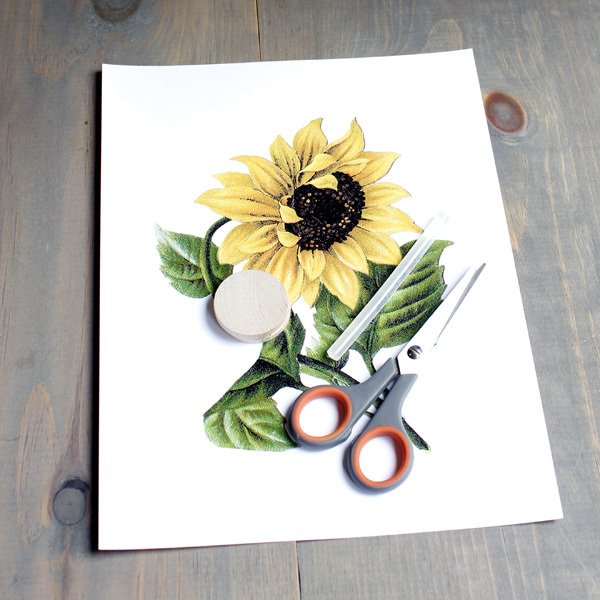 You won’t believe how quickly you will have this little DIY done and you can use the basic principles with so many other Graphic Fairy Illustrations. Let’s get to making one! 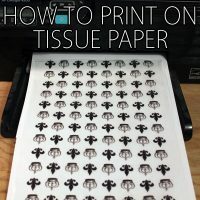 You will need multiple copies of your illustration. I used 3. Scissors, glue and I used a wooded disc for dimension but you can use a piece of foam core or whatever else you would like. 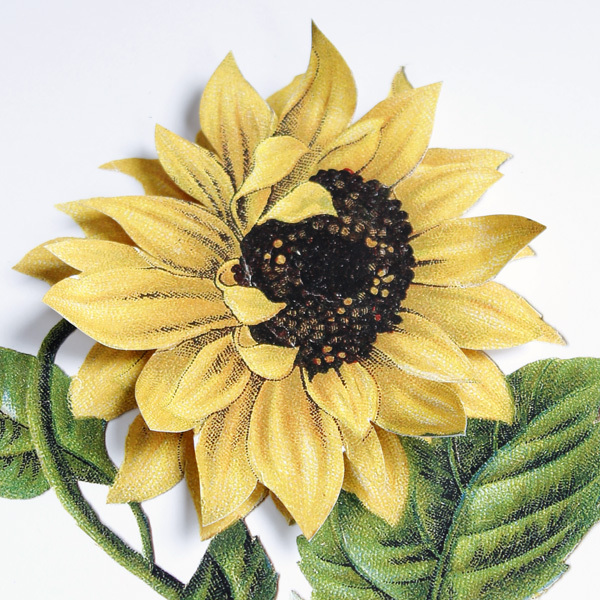 Now it is time to cut out the Sunflower…you will need 2 of them. 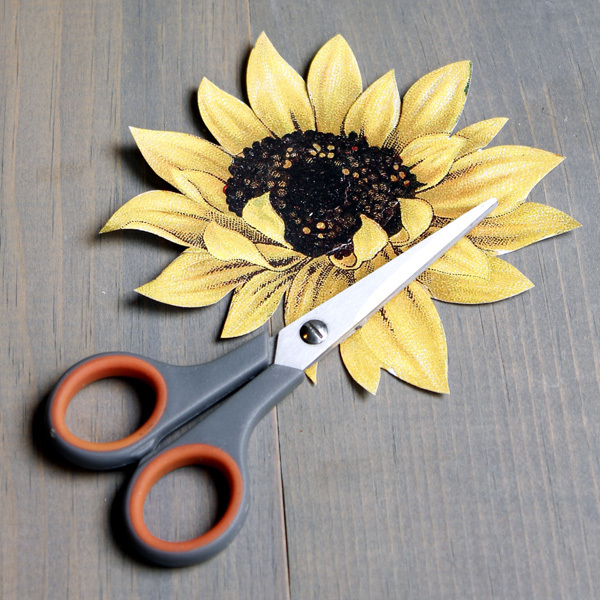 Once you have the flower cut…trim it up and curl some of the petals…cutting into the petal lines enables a better curl…but don’t go too far. 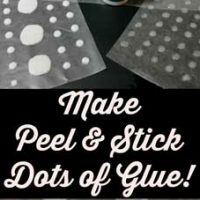 glue onto of the base illustration. then repeat the above step once again. 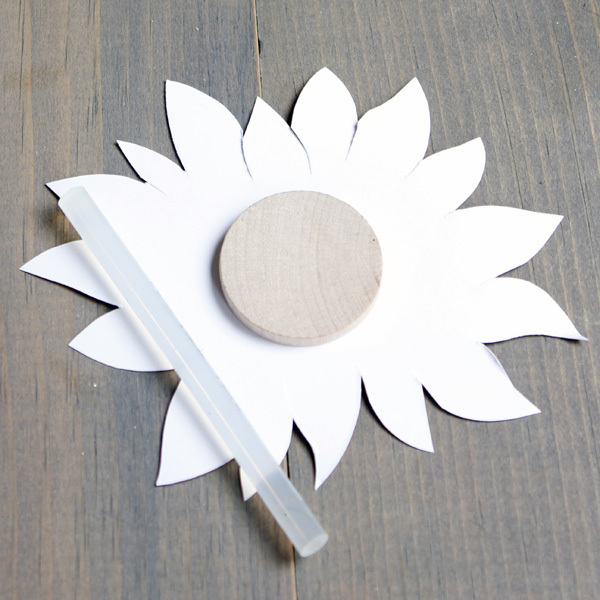 Don’t forget to curl the petals a little bit and also remember you do not have to place the flower directly over the exact place…so no worries! Now it is time to frame and ENJOY! How clever! And, as I look out the Window at the sunflowers blooming, I ‘m thinking “photo “, instead of graphic. We’ll see. Oh, what fun! 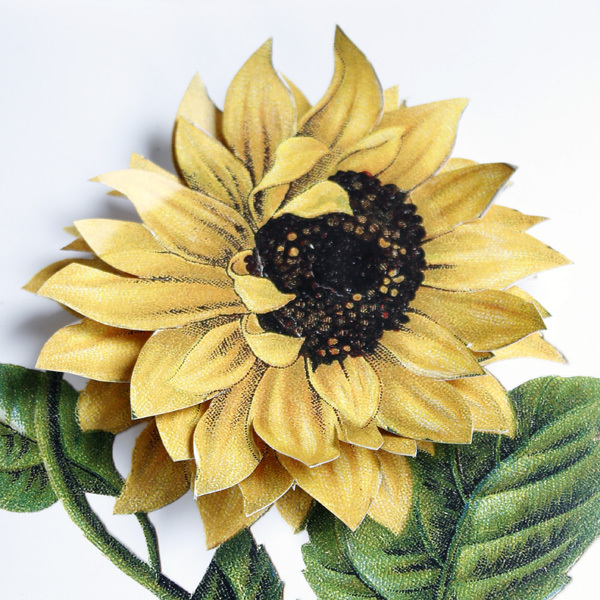 I love sunflowers! Thank you very much. Andrea – this quick tutorial is just gorgeous!! 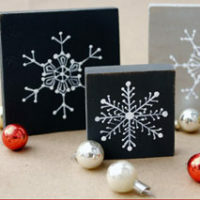 I cannot thank you enough for giving us EASY crafts to do – I’m sure I am not the only one who appreciates it!!! Karen, many thanks for the beautiful sunflower!!!!!!!!! Thanks Mare! I’m glad you liked Andrea’s pretty project! Love this effect! Thank you for posting this!